Brunswick Stew bubbling away on the stove just smells like Fall. With snow flurries this week and freezing temps, it was the perfect way to warm up. 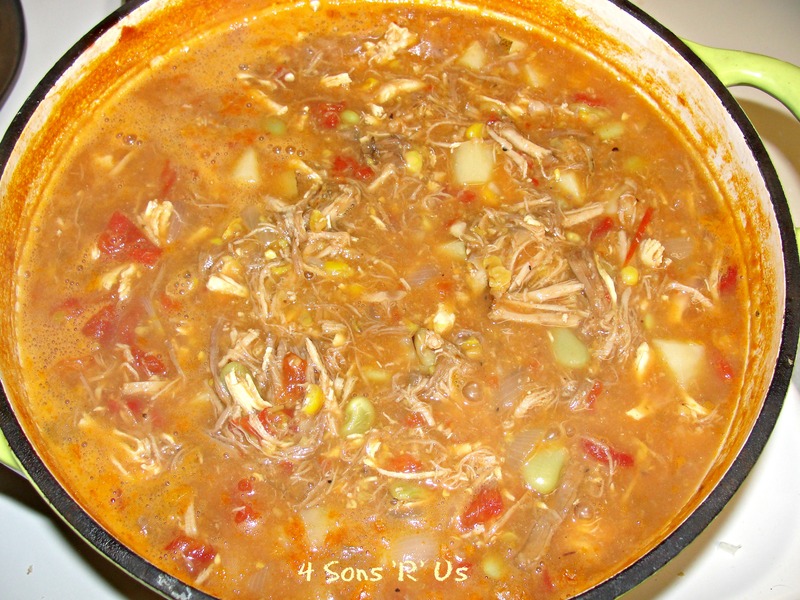 My family loves Brunswick Stew. It’s pretty much the only soup/stew that we all can agree on. We’ve had store-bought and boy-scout made, all in search of that perfect version at an affordable cost. Just smelling this recipe while it cooked, and then tasting the flavors after they’d melded… there was no denying that this is now the only version for us. Not to mention, that while it was definitely cheaper than anything we’ve purchased so far and the most delicious, it also made enough for a hearty dinner with enough leftovers to freeze for two more meals. That’s what I call efficient! My dutch over was, literally, brimming with awesome-sauce. Is that even a word? If not, it should be, specifically for this recipe. Warn off the Winter weather and warm your own family up tonight with this hearty recipe, or serve this classic at your next gathering where it’s sure to be a hit! An easy to throw together stew that's hearty enough for any crowd. Add shredded chicken, pulled pork, and shredded beef to a dutch oven or large, heavy-bottomed stew pot over medium-low heat. Add broth, onion, potatoes, beans, corn, diced tomatoes, ketchup, brown sugar, apple cider vinegar, Worcestershire sauce, steak seasoning, garlic powder and cayenne pepper to the meats. Simmer over medium-low heat until thoroughly heated and all flavors have had time to combine, about 30 minutes. This batch makes more than enough for us. We get one hearty dinner and we package and freeze the rest for another big dinner or into lunch portions. It freezes well. 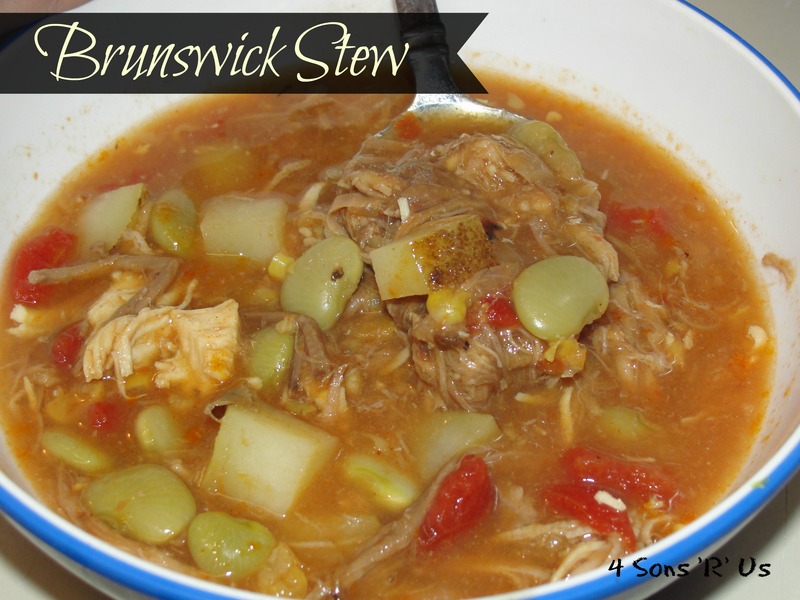 I love Brunswick stew and that’s an interesting touch with the Montreal Steak seasoning!! Looks delish! !